Try reading this sign on the left, which I saw in a restaurant in Greece. With trigonometry thrust on us in school-it helped me read the contrived signage- Malagousia. Now try pronouncing Thessaloniki (thhay-saalo-neeki)...try it without looking at the spellings. Make it faster-say three times. Ten times! Before you give up, here is the word Ktima for you. Never mind what it means, for now but see if you can pronounce it-easy. Finally Vangelis-now that’s simple, you say (Vaan-jay-liss). Ok-the last one- Gerovassiliou (Jayro-va-ssi-liu). I don’t know about you but I found the words pretty hard to pronounce the first few times. Real tongue-twisters! And relating to wine can give you some idea why an ordinary consumer would shy away from Greek wines initially..
Evangelos (Vangelis) Gerovassiliou is the owner of a winery called Ktima Gerovassiliou in a small village Epanomi, 25 kms from the Greek city of Thessaloniki in Macedonia, known in India more for Alexander the Great rather than its delicious wines. The white wine Malagousia (pronounced simply as Mala-goo-zia) –also spelt as Malagouzia in some places, is one of the 130 grape varieties in use currently in Greece. Malagousia from Ktima Gerovassiliou won the ‘Best White Wine of Greece’ Trophy earlier this year at Mundusvini international wine competition where I have been judging for the last 9 years. You may find the name unfamiliar as it is one of the indigenous grapes found mostly in Greece and around. But even Greeks did not know much about this feminine grape variety 25 years ago! To Vangelis (Evangelos) Gerovassiliou goes the credit of bringing the variety to the center stage. Working with Professor Logothetis of Thessaloniki Agricultural University, who collected vines from several villages in Greek mountains including this near-extinct variety from western Greece, he planted them in Porto Carras a well known winery in Halkidiki, where Vangelis used to be the winemaker. Tasting the grape, he felt it had good potential in making good wine. He worked on this grape variety in the 70s and 80s. The first commercial vintage was released by Porto Carras in 1994. 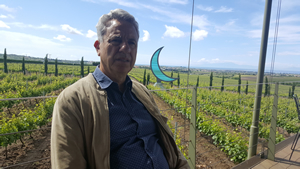 Recently, at a tasting conducted by the Greek Master of Wine, Konstantinos Lazarakis, he found it still singing though the wine was expected to be well past its prime. 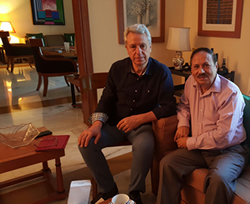 I first met Gerovassiliou in Delhi at the residence of the current Ambassador of Greece, H.E. Mr. Panos Kalogeropoulos. I was planning to go to Athens from Plovdiv/Sophia in Bulgaria where I was to judge at Concours Mondial de Bruxelles. ‘Gero’ (it took me weeks before I became comfortable with his full name) has a good command of English knowledge. He was modest but quick to bring out his iPad with the Presentation of the winery and told me that Thessaloniki (another tongue twister if you are hurriedly rushing to the washroom) was midway between Sofia and Athens. He also invited me to visit his winery. 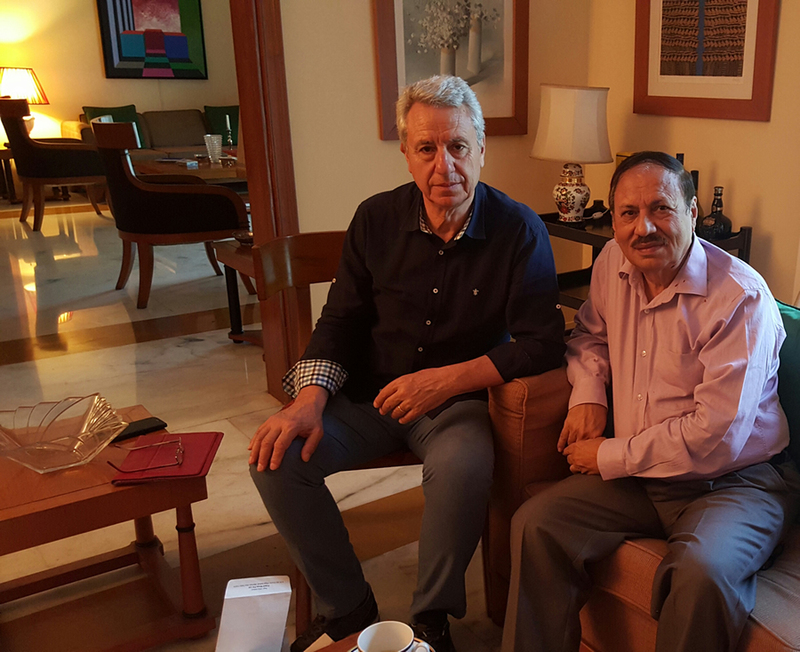 He didn’t have to convince me; the Presentation and the accolades he had won for his Malagousia, especially the Mundusvini Trophy and individual awards as the best winemaker made me change my plans completely and I immediately decided to visit his winery. And I am glad I did! Not only are the winery and vineyards worth visiting, I was also able to visit Porto Carras winery, around 90 kms from the Ktima (Estate/Domaine) following the visit. Ktima Gerovassiliou produces around 350,000 bottles (19,000 cases) out of which Malagousia accounts for 100,000 bottles. From 1976 to 1996 only Porta Carras made it (his own small production notwithstanding); now ‘everyone makes it,’ he says. At 8 tons/hA it is a fairly low yielding grape- at least here. Vangelis explains, ‘Actually we started making a blend of Malagousia, Assyrtiko and Athiri at Porto Carras in 1976. I planted Malagousia in 1981 in Epanomi. In 1983 it was the first Ktima Gerovassiliou wine of Malagousia and Assyrtiko blend. In 1992 we produced 100% Ktima Gerovassiliou Malagousia but only for exports.1994 was the first commercial year for 100% Malagousia for Porto Carras.’ This was the vintage Lazarakis MW was referring to in his legendry tasting. People flock to the winery not only because of its close distance to the city and an excellent reputation of its vineyards and wines, there is a lot of interest in the wine museum which he completed in 2008, from artefacts collected and stored away by him for years. Even bigger draw is a unique collection of over 2500 corkscrews from all over the world, representing different countries, eras and genres. 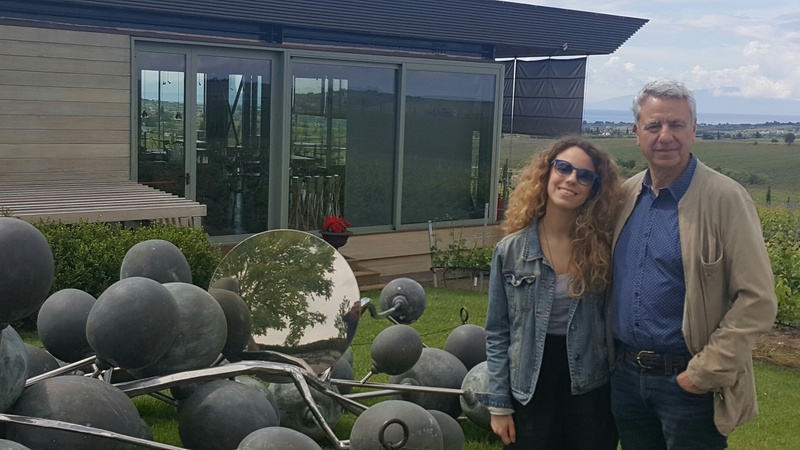 ‘He has been collecting them ever since we remember’, says Marianthi who works with her father and takes me around for a tour of the winery with all its fineries. Fond of Art, he has several pieces of art and sculptors strewn over the vineyards and the winery. The Visitor Center with the Café of the Museum was completed last year with the financial assistance of EU and is an excellent work of architecture and a great destination for wine tourism. Though there is no place to stay at the vineyard, it is very close to the city for a day visit in any case. There are regular tours of the vineyards and winery and only for €5 one can taste two wines as well. 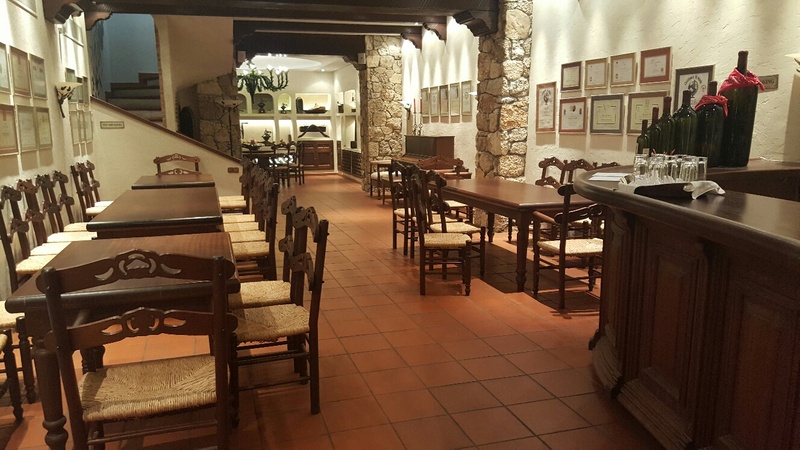 The basement also has his personal cellar and library where all the vintages of wines made in Porto Carras are stacked; so are the wines produced by him from the beginning. 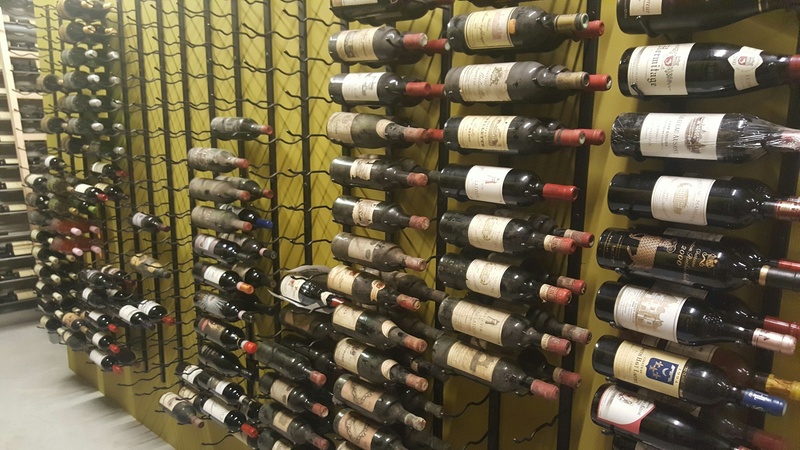 One section is reserved for his private collection of Bordeaux Growths and other top quality wines from France, that he has been collecting for years and also when he used to live there. 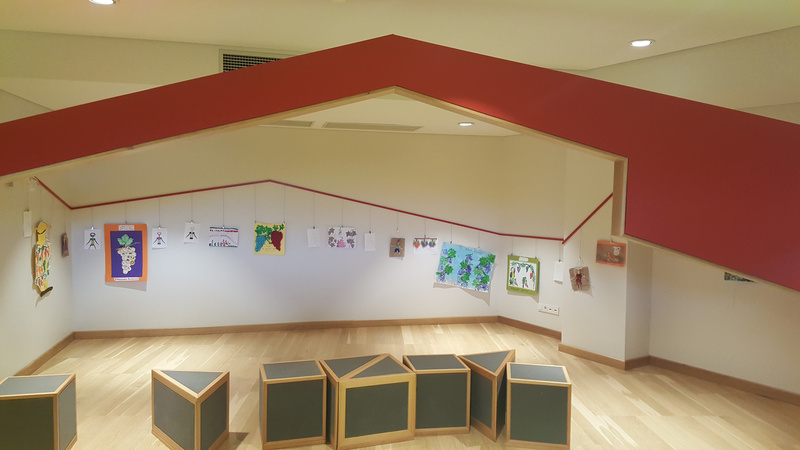 There is a big-sized play room for school kids where they can come with their teachers and are encouraged to draw and paint grape related subjects. There are several otheractivities panned out to educated children about agriculture. It is a part of the new tasting room and the Museum Café with a 270° view of the winery and vineyards with Mount Olympus in the background and completed in 2015. The winery and the area surrounding it is full of artefacts and sculptures and reminded me of Castello di Ama, one of the leading Chianti Classico producers whose owners Marco Pallanti and his wife Lorenza are so enamoured with Art that every year he commissions a new artist for a new sculptor including one by the Indio-British sculptor Anish Kapoor. 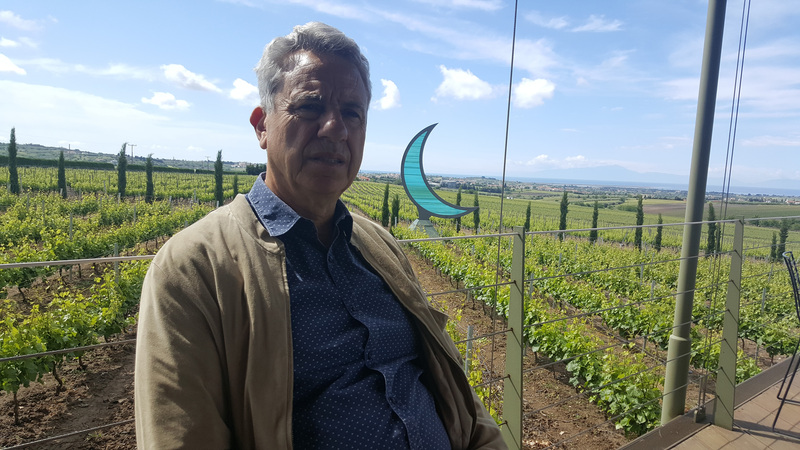 Vangelis is equally excited about another winery, Ktima Biblia Chora – a partnership venture where they produce slightly more 400, 000 bottles. Their Sauvignon Blanc Assyrtiko blend- slightly off-dry wine, retailing at around €10 is very popular with the young people and women. To give you a proper perspective, Malagousia sells for €25-26 in the restaurants. Between the two wineries, he makes about 750,000-800,000 bottles that makes him a decent size player. 30% -35% of his production is exported to 29 countries whereas the balance vast majority finds its way to the domestic market. The wines are well known in Greece ans well as overseas. Focus of export is in Europe where UK, Belgium, Germany and Cyprus are the major markets. He exports also to the US and Canada. Australia and Singapore which are interesting markets for him. 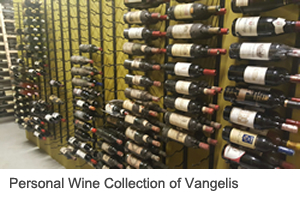 Only 25% of his production is red wines; vast majority is white wine which according to Vangelis, is because Mediterranean diet, goes better with whites. He also owns 20 hA of vineyards in South Africa but the reasons for acquiring the land or the purpose to go so far were neither comprehensible nor clear. He is known to help construct wineries professionally too but an estate, so far away from his homeland was not convincing to me. I tasted a range of wines from the Domaine- all of which were outstanding to excellent. Ktima Gerovassiliou 2015 is a blend of Malagousia-Assyrtiko (50-50)- fruity and juicy. Viognier has found a great success in the UK market. It was one of the best I have tasted. Next up was a Syrah 100%. This was very good wine but I expected a bit more in flavours. Evangelo was truly amazing wine. Made from 92% Syrah and 8% Viognier that had changed the personality of the wine, had a lot to offer-complex and balanced..
Avaton was the final wine- luscious blend of three Greek indigenous red varietals: Limnio, Mavroudi and Mavrotragano. It had silky soft tannins, a complex wine. 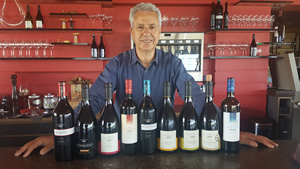 All the wines tasted at Domaine Gerovassiliou were a tribute not only to Malagousia and other local varieties but the terroir and winemaking techniques and capabilities of Vangelis Gerovassiliou. There is no system of grading the vineyards– like premier cru or grand cru in France. These wines are certainly in the top rung of Greek wines and command a premium. The premium on these wines makes it difficult for them to enter the Indian wine market, which is sensitive to prices . In general, a Malagousia wine may be purchased at a third of the price at Gerovassiliou. This would make it very difficult to make the product retail worthy. Hotels with discretionary guests may find these wines reasonable if imported without import duty agaist their duty-free licenses. Only time will tell if and when these Greek beauties will make a breakthrough in India though the time seems to here and now. But in the meanwhile Gerovassiliou has already set a benchmark for fine Greek wines. 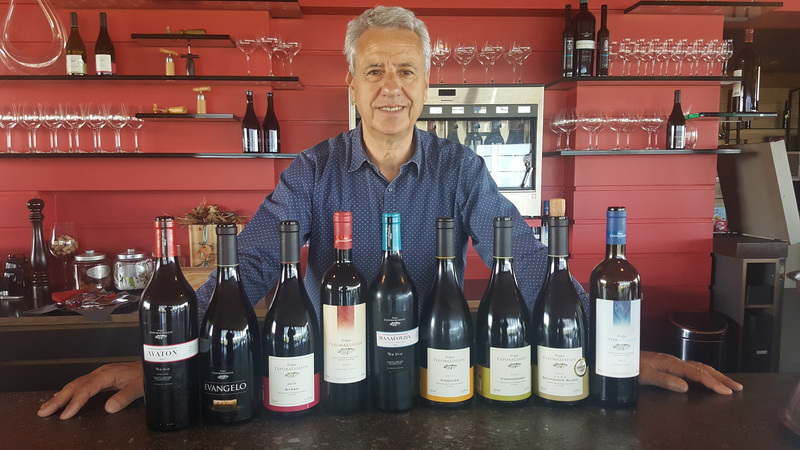 The number of recognitions Vangelis has received as a Winemaker of the Year, is indicative of the top quality coming out of Ktima Gerovassiliou- and the passion and commitment of the much awarded winemaker. 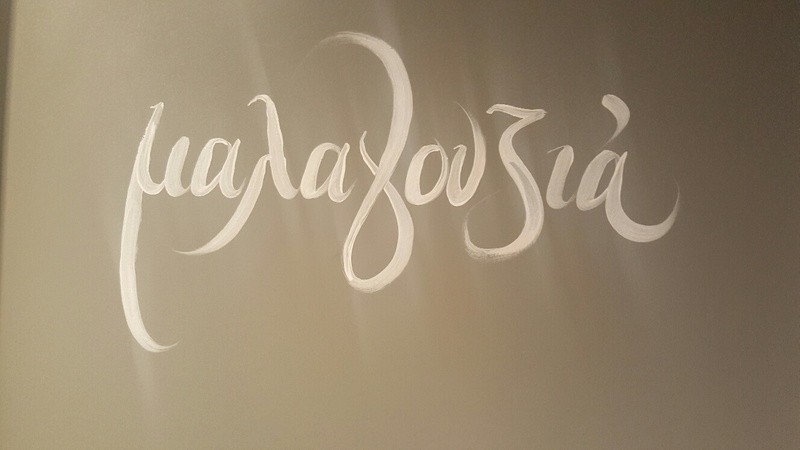 And in case you are wondering about the signage-it was outside the ladies washroom in a restaurant whose manager insisted Malagousia is a popular feminine grape from Greece. 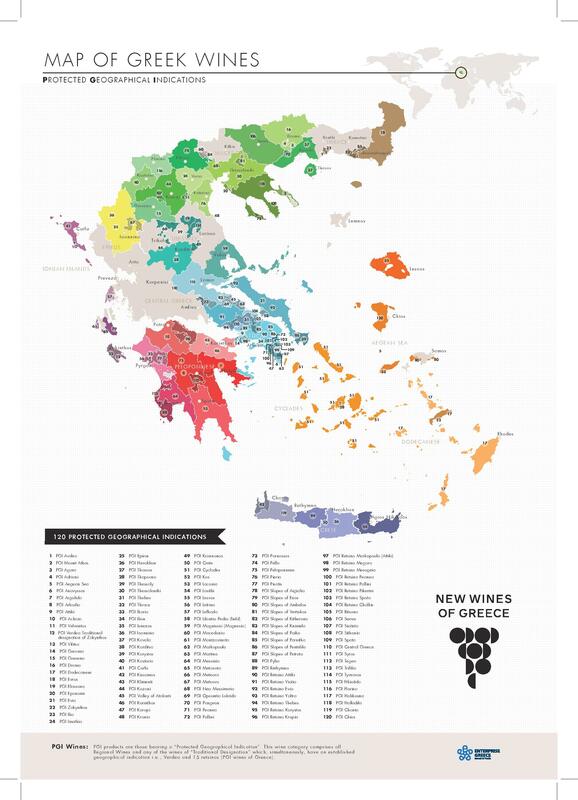 The Article may erroneously give the impression that Malagousia is the signature grape of Greece.With only about 300 hA planted, it's far from it. 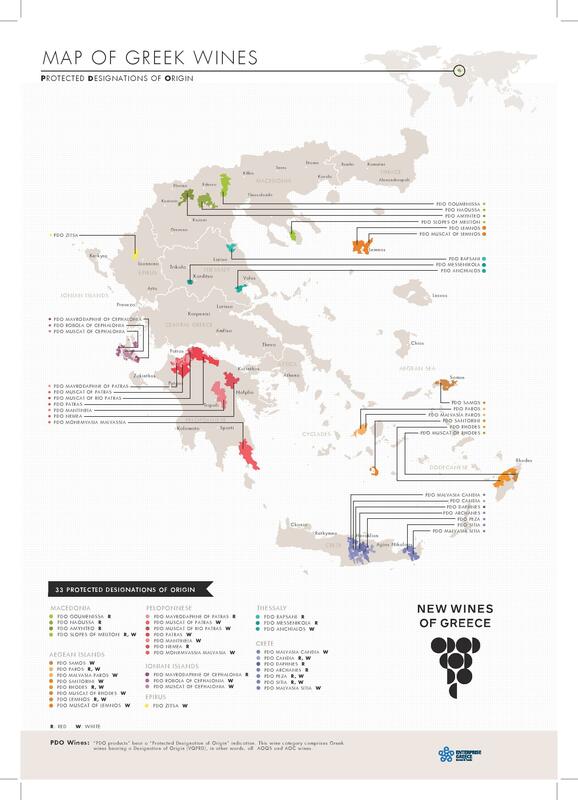 Assyrtiko and Moschofilero are still the most popular white grapes and would be covered in subsequent Articles. Malagousia is the newest old, indegenous grape variety.